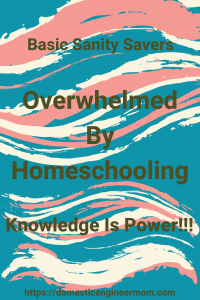 Hi, and yes it’s that time of year when a lot of us are feeling overwhelmed by homeschooling. Honestly, It happens to those that are just beginning or have been doing it for many years. Being a little anxious is normal. I’ve been homeschooling for 17 years, and there have been times of letting those little fears creep into my thoughts. 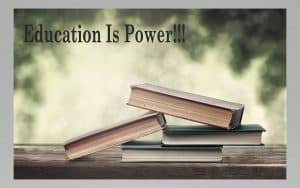 If you are still on the fence about homeschooling, this time of year also brings up what is going on in our society. I find it, so unbelievably upsetting to turn on the news or even hearing it on the radio that there has been another shooting in our schools. That in itself is terrifying, let alone all the bullying that is going on. Budget cuts and overcrowded schools and mounting poor performing schools what are parents supposed to do? Homeschooling your children is a big undertaking and not to be taken lightly. But with some guidance, you can get through it and put some of those feelings of being overwhelmed by homeschooling. You will do a good job!!! I like to compare my first year of homeschooling to learning how to ride a bike. It can be unsteady and lots of bumps and bruises along the way. As time goes on it becomes smoother, and you and your children will learn how to work together. Well fear no more, I’m here to hopefully give you a little guidance and some tips and tricks that might be helpful for you. If this is your first year to homeschool, then I want to congratulate you and welcome to the club! What an exciting time for you and your child or children. For some, this wasn’t an easy choice for various reasons and others this has always been what you wanted to do. The legal side of homeschooling is what I think scares people the most, but thankfully there are great organizations that are in place to help. The law on homeschooling can vary from state to state. First, go to HSLDA and look up your state and see what is required, some are very homeschool friendly while others are a bit more complex. You also need to send a letter of intent to your local school board. I know that where we live you just fill out the form online from the local school district, you’re in. If you can’t find it that way, just call your local school district office, and they should be able to help you from there. So you have decided to homeschool and have tons of questions, right? I want to address those questions here first. There are many questions that can factor in how you will homeschool. Do you know your child’s learning style? What style of homeschooling do you like? Where do you get your curriculum from? When should I start my year or should I homeschool year round? Why should you hold off on investing too much money in the curriculum when you start? Thinking about how your child learns so that you can teach to their strength. By doing this, you will help build up your child’s confidence and yours also. They will love learning and want to do more. Not only that, but they will be able to comprehend and remember what they are learning. This is an important step in knowing what to teach, picking curriculum, and how your day will look. Visual – Visual learners prefer to see something to learn or remember it. Auditory – Auditory Learners prefer hearing information to learn or remember it. Tactile-Kinesthetic learners are driven by their sense of touch. They are often very active, constantly moving and physically expressive. They like lots of action. So this barely scrapes the surface, and in all honesty, this only gives you a tiny amount of info. But this is all about the basics so that I will be doing a more in-depth post on this soon. You will want to sign up to receive my latest blog post. You will probably find that your child is a mix and sometimes the way they learn can change. One of the major reasons many parents choose to homeschool their children is to be able to pick out their curriculum. Being able to consider your child’s learning style and staying in line with your educational goals are just some of the areas in which homeschooling offers greater flexibility than other types of schooling. Choosing a specific educational style can provide a helpful framework when it comes to planning your curriculum choices. Here are a few you might want to explore. Don’t worry if multiple homeschool methods speak to you. You don’t have to feel like you need to pick one. I consider our homeschool to be a mix of Eclectic and Unschooling. And that has changed many times throughout the years. Charlotte Mason Homeschool – The Charlotte Mason way is a method, not a curriculum, so understanding this will help you make the most of anything you choose to use as your curriculum to educate your children. With this method of educating, your children will learn how to learn, observe and process information. Learning the different aspects of this method will help you to educate the whole child, and growing an independent, self-learner. Waldorf Homeschool – The Waldorf method is also used in some homeschools. Waldorf education is based on the work of Rudolf Steiner and stresses the importance of educating the whole child—body, mind, and spirit. In the early grades, there is an emphasis on arts and crafts, music and movement, and nature. Montessori – The Montessori method emphasizes “errorless learning,” where the children learn at their own pace and in that way develop their full potential. Classical – involves teaching based on the three stages of learning: the Grammar stage, the Logic stage, and the Rhetoric stage. The Grammar stage involves learning facts, memorization, and knowledge gathering. The Logic stage is when reasoning and logic begin to be applied to the knowledge. Unit Study –“Unit studies are collections of learning activities tied to a theme. They are popular with many homeschooling families because they provide a hands-on approach to learning that incorporates subjects such as math, science, language arts, and the social sciences. 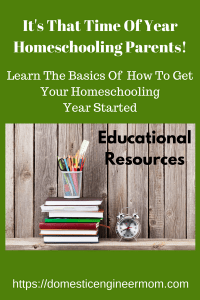 Eclectic – is the method used most often by homeschoolers. Eclectic homeschoolers use a little of this and a little of that, using workbooks for math, reading, and spelling, and taking an unschooling approach for the other subjects. As you can see, there are many ways to approach homeschooling. Keep in mind that most homeschooling families don’t follow one approach for all of their children. Feel free to take elements from each approach in a way that works best for you and your family – that’s one of the greatest perks to homeschooling there is! You can do whatever you want. School calendars can be intimidating at first, but it is not hard. There are several ways to schedule your school year. A regular school year that follows the public school schedule or year-round schooling. There is year-round schooling, and that is what we do. It is more flexible and has many advantages. We have more breaks for trips and just some good ole downtime. Sometimes we just need that. Also, it has become a necessity in our homeschool schedule. The options for these two depends on what your family needs. I would take a look at your local school district web page and see what their calendar looks like. I did this for the first couple of years when we started. You can use as a guideline to help you plan. Year-round schooling usually is a more relaxed school schedule that doesn’t follow the normal public school calendar. First make a calendar that will work for you, remember it is your school, so plan as you need to. Honestly, my calendar changes often but sometimes it’s just good to have an outline. Pick a date to start and just go for it, you’ve got this!!! Scheduling can be intimidating, but keep in mind that there’s no one way to schedule your day. Every family is different, and the best schedule is one that works for your family. For many homeschool moms, this can be a daunting task! Some homeschool moms feel restricted by the rigidity of a schedule. I found homeschooling in my early years I couldn’t find a schedule that consistently works for my family’s day to day schedule. 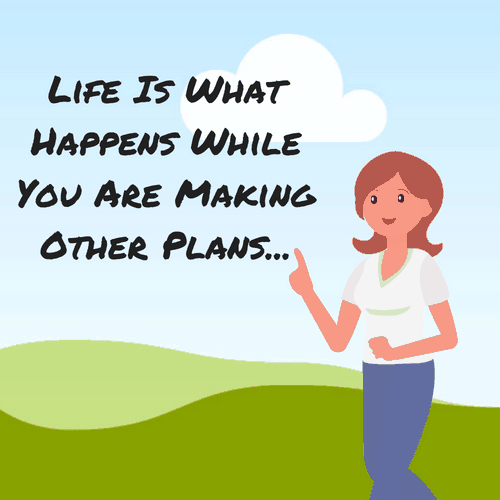 So many moms feel that there is to many planners out there to pick from. Picking a homeschool planner can also be a bit overwhelming. If you are new to scheduling, or if you don’t want a rigid schedule, use just a basic framework for the day, then just fill in a few times, For example, your times could include: wake-up time, chores, school, snack time, lunch time, afternoon activities, afternoon snack, tidy up, and supper. You don’t have to include time increments. Creating or following a daily school schedule does not have to be difficult or intimidating. Having a plan, even a small outline, in place can ensure success in your school day. Give it a try. There is no wrong way of doing it. It’s your homeschool schedule. 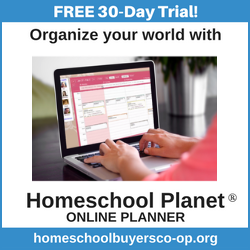 Here is an excellent planner option also and it’s worth checking out: Homeschool Planet has a Planner that is everything you need to organize your home and your homeschool! Get A Free Trial!!! 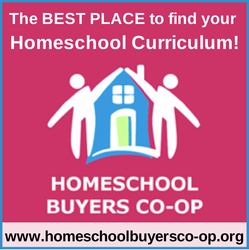 Picking a homeschool curriculum can be an area where some feel overwhelmed by homeschooling. I have lots of great info to share with you today! One of the many benefits of homeschooling is you get to pick the educational resources that are right for your children. I want to take some of those stressful parts away and ease your mind. I remember when I first started, I was so overwhelmed! There were thousands of different curriculums to choose from. That hasn’t changed, but now that I have been homeschooling for many years, it has gotten much easier. Today I am going to share with you a few tips to help you pick out the curriculum that’s best for your homeschool. If you keep the tips I have to share with you in mind; they will help you when picking out curriculum for any grade level. Find out what your children’s interest is. What do they want to learn? I like to call this curriculum mapping. This can be a really fun time for you and your family, try not to stress too much and enjoy it! After 17 years of homeschooling, I’ve tried a lot of curriculums! Homeschoolers have so many great curriculum choices available to them. Which is awesome, so don’t get discouraged. Don’t let the multitude of homeschool curriculums overwhelm you! Here’s the thing–there is no one perfect curriculum! We all have different needs and preferences. However, I do think it’s helpful to learn what’s working for other homeschool families! So today, I’m going to share some of my favorite homeschool curriculums. I hope you keep this in mind while you are choosing your homeschool curriculum. This is my go-to math program. I used it for our oldest 2 girls for K-3. So I used it also for our youngest 2 but wasn’t for sure how it was going to go. They both have delayed development and have multiple learning issues. Well long story short, this was the best decision I made for them. They are both visual learners, and the manipulative blocks are a must. Explode The Code Online – This is an online math curriculum. This uses a multi-sensory approach to learning. This is a great math program because it uses video tutorials to teach your child before they attempt the problem. The lessons are taught the traditional way, not common core aligned. I’m not a fan of common core. Our second oldest daughter used it to supplement her math for 11-12th grades. This does cover K-12. They do have a FREE TRIAL, so that’s a plus! Multigrade use also. Math Mammoth- This a complete math curriculum that uses PDF math worktexts, workbooks. Available to be downloaded or CD Rom. This has little to no prep and can be self-taught if your child reads well. EXTRA EXTRA PLUS!!! Also, Cost Efficient. Explode The Code Online This phonics program is TOP NOTCH at BEST in my opinion. Now that it’s available online, kids can enjoy doing the lessons because it looks and feels like playtime. If you have a child that might be struggling to read, then you might want to check this out. It is a structured Orton-Gillingham based program. Wordly Wise 3000 Online– This is a Vocabulary curriculum that can be done online. We used this before with our oldest daughter, but we used the book form. A good choice for building your child’s vocabulary in conversation and reading. Brave Writer- Writing and Language Arts curriculum that has made it easier for parents to teach. The ability to write clearly and persuasively is an essential skill in every profession. It is also one of the hardest to teach. It brings life and joy to the teaching of writing in a very relaxed way. This is going to be a new curriculum that is on our schedule this year. Science Shepard-The science Shepard curriculum covers all grade levels, and videos are short with easy to use workbooks. This homeschool science curriculum is all planned out on a five day, 35-week course. If you have an independent learner, then this is an extra plus! You can read more here in this post I did on Science Shepard. Supercharged Science- is a complete, self-guided, video-based online science curriculum that explains science topics to kids in a practical, real-world way, then uses step-by-step videos to guide them through every detail of activities, experiments, and projects that let them apply the concepts they just learned. Everything you need (except supplies) to give your child a complete homeschool science education. Bright Ideas Press- is user-friendly, unabashedly Christian science curriculum includes teaching lessons, gorgeous coloring pages, hands-on time, review sheets, and an awesome supplemental book list! You can choose from Chemistry, Creation Science, Earth and Space, and Physics. Award-winning, college professors-vetted, and parent approved! The Mystery Of History – Complete World History curriculum that features a classical approach, chronological of historical events and Christian worldview. Although MOH was originally written for Grades 4-8, the teacher manual gives information to adapt the program for Kindergarten through high school levels, making the program ideal for multi-age teaching. HMH History & Social Studies – Harcourt Horizons and Holt McDougal History & Social Studies guide students through history and social studies while integrating chart and graph skills, map and globe reading exercises, citizenship lessons, basic reading skills, primary source use, and other cross-curricular elements. Horizons – Complete sets that are engaging. Workbook curriculum filled with consumable lessons and hands-on activities. Very well put together and easy to use. Can also buy individual subjects also. Alpha Omega Publications – Alpha Omega products and programs include Monarch, Switched-On Schoolhouse, LIFEPAC, Horizons, and The Weaver Curriculum! If you are looking for an All-In-One curriculum, this is always a good option. These are just a few picks that I wanted to highlight for being good options. I also want to point out that these curriculum options can be found at Homeschool Buyers Co-op. I have purchased curriculum in the past and never been disappointed with what I have selected. This site provides really good discounts on anything homeschool related. There are a lot of Free Trial Offers, video tutorials from the publishers, and they have the best deals anywhere on a curriculum. I encourage you to check them out and spend some time looking through all the resources they have. You can click the banner below. Here is a list of some educational resources I have used in the past and would recommend. This can be helpful if your budget is tight and needing to get some homeschool curriculum for free. Some of these sites you may have to join or sign up. This can be very useful when you are expecting a money crunch. All of the links here belong to the creator or owner of the sites you will be connected to. These are suggestions that I find useful and hopefully, you will too. Easy Peasy Homeschool has a free full curriculum. This is an excellent Christian homeschool curriculum design. I know that this doesn’t even scratch the surface of whats available. This will give you a good idea of where to start looking for free printable worksheets and free teaching resources. Co-ops are also useful to belong to. This gives children an opportunity to learn about other subjects of interest and gives an excellent social outlet. Hopefully, this has taken some of your feelings of being overwhelmed by homeschooling. Of course, these are my opinions and what has worked for us. Most importantly is that you have learned and now feel you have a guideline to look back on. So if you are on the fence or already decided, you have truly made a great decision in homeschooling your children. Don’t worry you are going to be good at this. It’s a learning process. With patience and time, you will learn your rhythm, and the kids will learn yours. Please feel free to leave a comment if you found this helpful. Don’t forget to sign up to get my latest blog post releases.